LOCATION LOCATION! Leave your car in the garage and walk everywhere! Lovely modern home ideally located in a beautiful, quiet secluded area of town, within only 2 min walk to beaches, restaurants, cafes, shops, playground and parks with BBQ facilities, hotel and gaming venue, and everything else that this quaint little sea change village can offer. The property caters well for couples, singles or families. It is self-contained and fully furnished, with a double lock up garage. It has 2 large bedrooms (one with queen and single bed, and the other with a double and a single), 2 living areas, a fully equipped kitchen, 2 bathrooms and a powder room. The living areas open up to a sunny north facing patio-deck, as well as a private side BBQ area. All amenities are provided including gas BBQ, large plasma TV, DVD player, gas log fire, air-conditioning, washing machine, clothes dryer, microwave, dishwasher and a complete range of appliances. Quality linen is also provided, as well as doonas, blankets, pillows and towels. Did I mention that it is in a great location?? 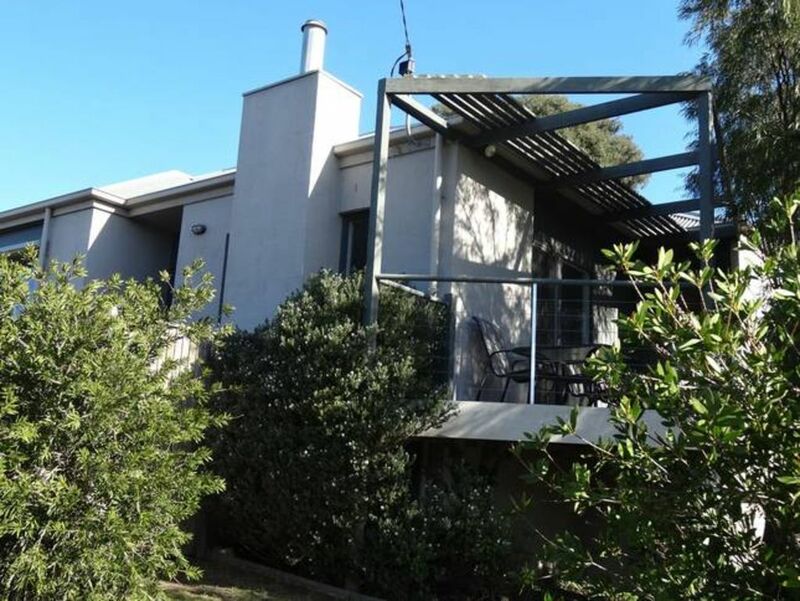 It is just a short stroll across the bridge to popular surf beaches or to the Bluff with it's numerous rock pools and it's panoramic views from Port Phillip Heads to Torquay, or a short 5 minute buggy pull puts you on the prestigious Barwon Head's golf course with its rolling greens and water views. 5 minutes by car takes you to the new 13th Beach Golf Estate and its new million dollar courses. The small coastal town of Barwon Heads is situated on the Bellarine Peninsula only 110km from Melbourne. It is the gateway to the Great Ocean Rd, and is only a 20 min drive to Torquay, Geelong, Portalington and the Queenscliff Ferry Terminal. This Townhouse is very close to Shops the River, a Golf Coarse and easy walking distance to all. We stayed here for a week in Feb 16. The property was great, it was large enough for my family (2 adults, 3 children) and was modern. The kitchen was very well equipped and the fact that linen was supplied was very helpful as we traveled from interstate. The owner was brilliant in making sure we had a good stay, despite me changing our plans a few times! A little touch of supplying some fresh fruit was lovely. It is pretty much in the centre of town so a very short walk to everything but was on a very quiet street. I'd recommend the place and I'd also stay here again. Ramsgate House was all a family could wish for in a holiday home. The spacious rooms, and luxurious appointments were truly wonderful, and very refreshing. With two separate sitting areas, TV in one, and a very comfy lounge to spent time reading or relaxing in the other, it caters for everyones needs. Within a very short walking distance to the fantastic restaurants and eateries, not to mention boutique shops, Ramsgate house made our holiday very relaxing.Congratulations on a superior standard in holiday homes. I'll be returning time, and time again. Excellent facility in good location close to shops restaurants and beach. Very clean and comfortable with all appliances and linen provided. Fantastic property. Close to everything and immaculately presented. Definitely a property to visit again and again. House was lovely and great location. Very clean and modern. Would definately recommend. Only a very short stroll to beach and shops just around the corner. The owner was extremely helpful.